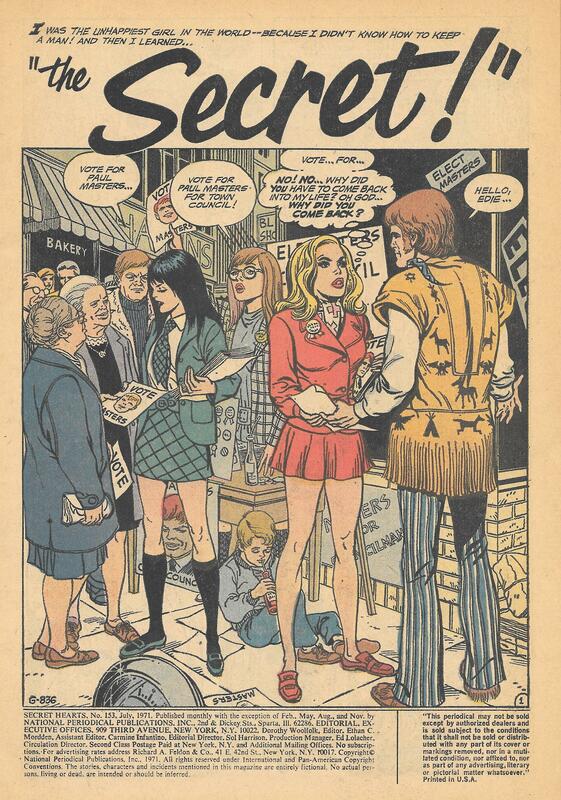 My look at the other side of DC Comics gets going this episode as I dive in head-first and go for the one comic book genre that’s more or less dead and is probably not going to be resurrected anytime soon: romance! To guide me through this journey through the turmoil that love can cause, I have brought along a special guest, Stella (From Batgirl to Oracle)! 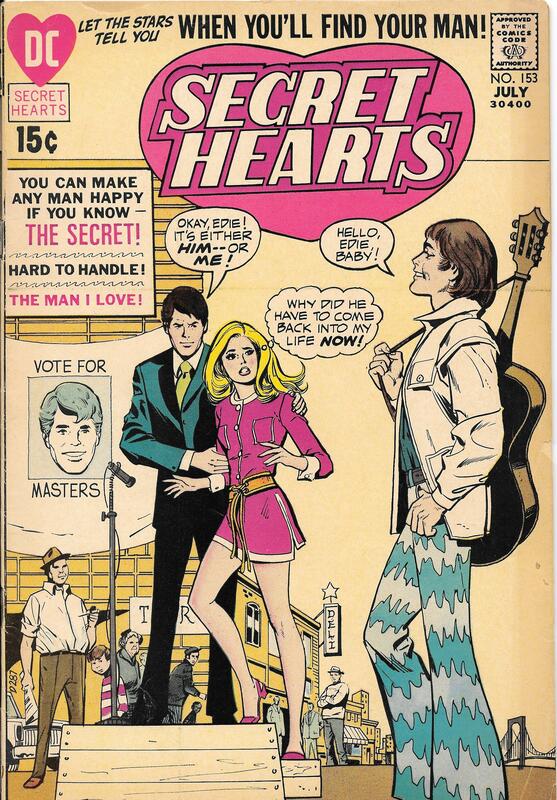 So join us as we take a look at Secret Hearts #153. 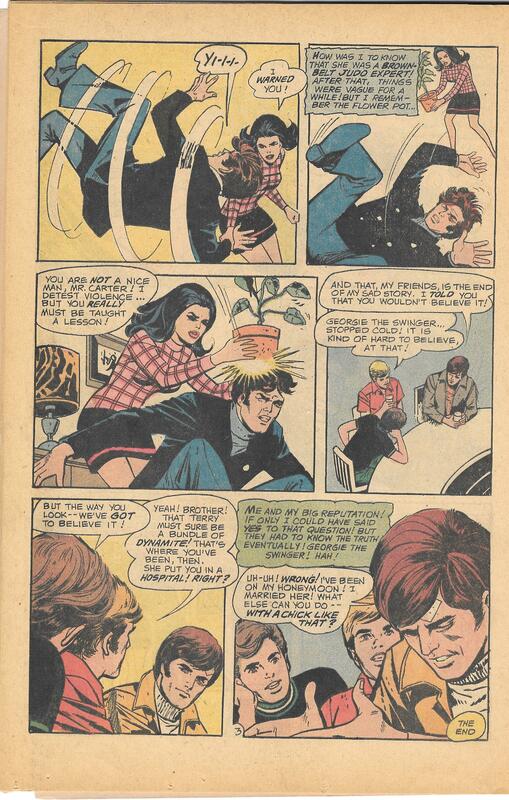 Page one of the issue. Is that Barbara Gordon in the background? Because when a “chick” treats you “like that,” you have no choice but to marry her. 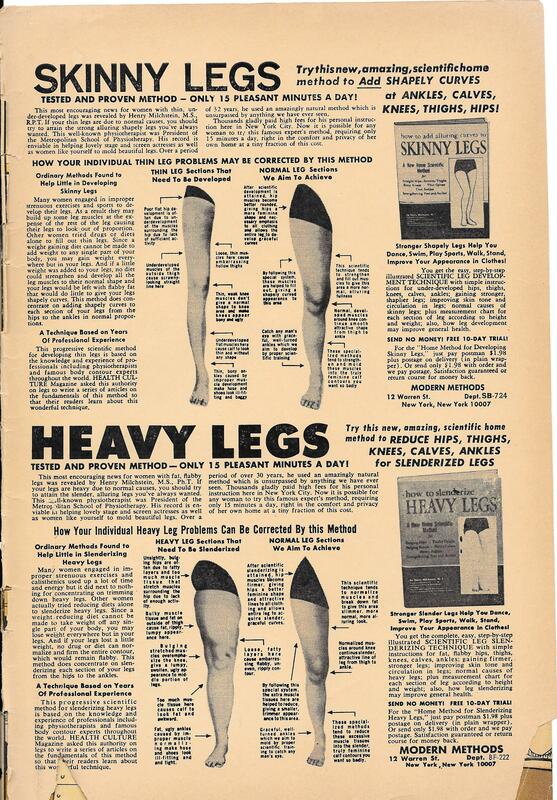 The weird leg-shaping ad from the back of the comic.